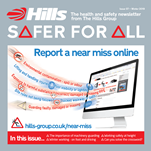 Hills specialises in asbestos disposal. We own and operate our own fully-licensed site in Wiltshire, which means we handle the whole process from collection to disposal. We will provide all the necessary paperwork so you can be sure your waste is handled and disposed of in a legal and responsible manner.All containers provided are sealed and lockable. We offer a range of collection and treatment options for hazardous waste, from asbestos to lab smalls and contaminated soils. We can provide a comprehensive disposal service at our dedicated site in Wiltshire, and we can offer containers suitable for every need and provide consignment notes for collection on your behalf. Our network of suppliers will ensure all waste is collected and disposed of in compliance with all legislation and regulations.